When Casey Condra was a youngster in Whitwell, Tenn., and his middle school launched an effort to collect six million paper clips as a graphic way to memorialize Holocaust victims, he — and many of his schoolmates — had never even met a Jew. But what began in 1998 as school project turned the tiny rural Appalachian community into a national symbol of Holocaust awareness, tolerance, and diversity. 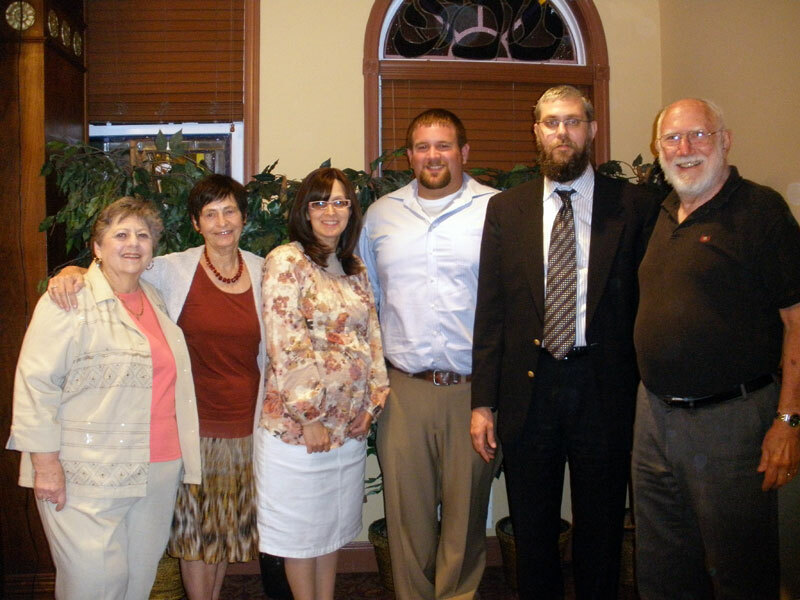 Condra was the featured speaker during a program at the Chabad Jewish Center of Monroe on July 25. His talk followed a screening of Paper Clips, the award-winning 2001 documentary about the Whitwell project and its worldwide impact. Also addressing the gathering of about 70 people was Ruth Adler of Toms River, who was hidden in a Belgian convent as a child during the Holocaust. The paper clips project was the brainchild of Whitwell Middle School principal Linda Hooper. When the call for contributions resulted in 11 million paper clips being sent to the school, organizers decided to memorialize, in addition to the six million murdered Jews, the five million Gypsies, Jehovah’s Witnesses, homosexuals, and others also killed by the Nazis. Condra told the audience that after the creation of the memorial — which is housed in an authentic railroad car used to transport victims to Nazi concentration camps — Holocaust survivors came to speak to the students, who would be invited to speak at schools and Holocaust memorials around the world. Condra recalled a 10-day trip to Germany, during which he spoke at 14 schools. Hooper, who has since retired, made it clear from the start it would be a children’s project, but required parents to attend every planning meeting, said Condra. Condra graduated from the University of Tennessee at Chattanooga with two degrees, in applied math and math education, an unsurprising choice, he pointed out, considering the hours spent before and after school counting paper clips (the final total was 30 million). He also said the interpersonal skills and sensitivity he gained while working on the project and spreading the word about it made it easier for him to integrate into the university’s diverse student body. Condra said the paper clips project instilled in him a lifelong respect for others and a desire to become a teacher himself, although he now works as a sales representative for the local power company. The Whitwell memorial, surrounded by a small park built by local volunteers, also includes a monument honoring the children lost in the Holocaust. The memorial’s Holocaust research room houses more than 30,000 letters, books, artifacts, and artworks. 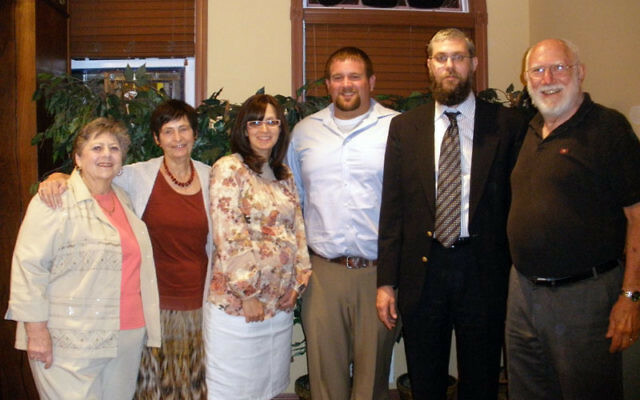 The program at Chabad was organized by Larry and Lynn Hertz of the Clearbrook adult community. Larry Hertz said, after visiting Whitwell, he organized a similar interfaith program at his former synagogue in Dix Hills on Long Island before moving to Monroe.